Feel the pleasure of spending time in the wilderness and the rewarding feeling of coming back indoors after having spent a night out in the fresh air. Do as the boy scouts and girl scouts and sleep under the open sky, on branches under a lean-to or maybe even in a snow pit, depending on the time of the year and the weather conditions. This is a great opportunity to do something new or to refresh your old boy scout or girl scout skills. As in all scout camps, good food and stories by the camp fire are a natural part of the experience. 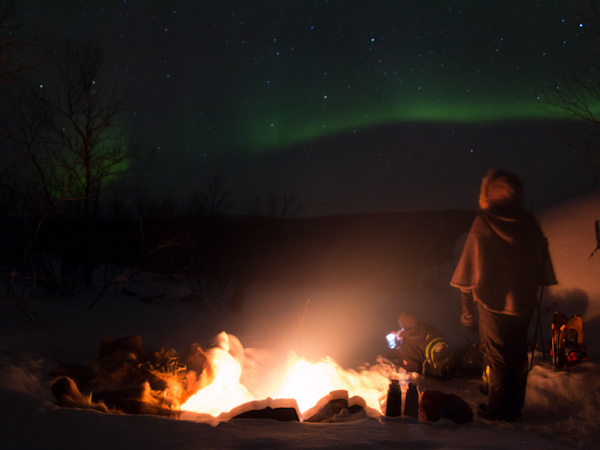 It is a good chance to see the northern lights on this trip! This is an excellent multi-generation holiday experience where grandparents and grandchildren can do something together and can learn from each other. We leave before noon and we go to the best suited place according to the weather conditions. We can go to the lowland forest or to the mountains. You will be walking on your feet, with skis or snow shoes according to what is best. At the camp site we start preparing for the night by making it as comfortable as possible and, in old scout tradition, we of course make a camp fire. 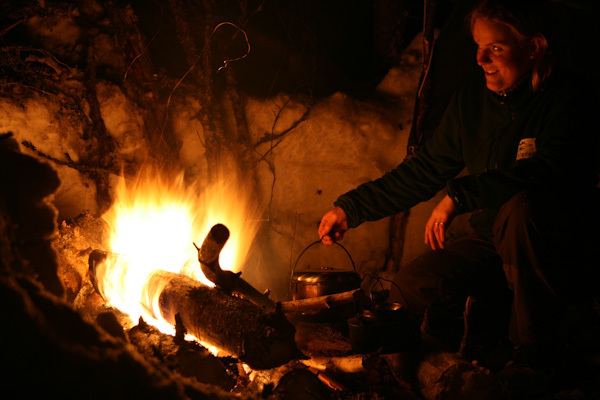 There will be time to explore the nature by short short excursions or to sit in silent contemplation around the fire. The good stories often come out around the fire in the evening. You will be sleeping on nice and warm reindeer skins and all meals are eaten around the fire. 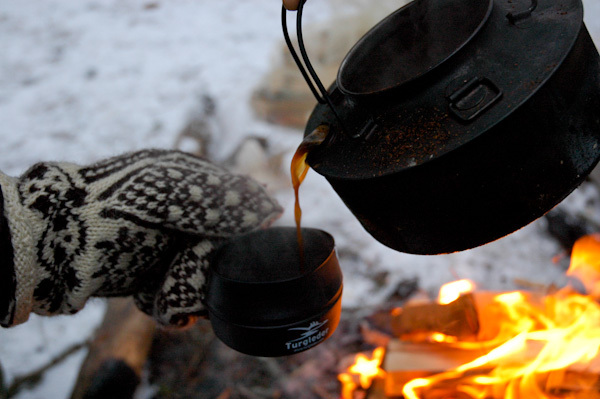 The next day we have breakfast around the fire before we take down the camp and prepare to leave. When everything is ready we head back to civilization. On this trip you can harvest experience under skilled guidance and in safe conditions. This is a "slow trip" suitable for all generations where you can lower your shoulders and experience the comfortable silence of a night in the wild. Every day on request from 5th January to 15th April. Noon to noon. Departure from Engholm Husky Lodge. 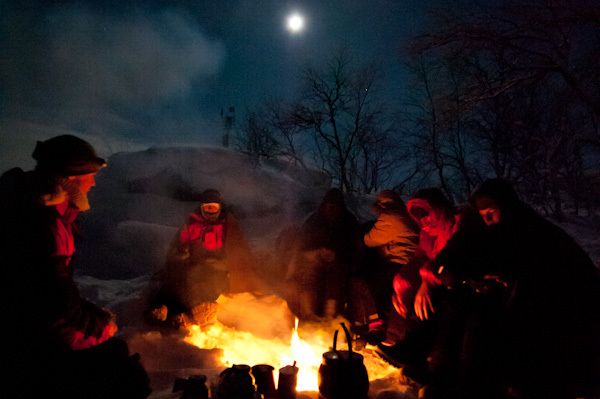 Guiding, local transportation, food (dinner and breakfast), hot drinks, warm sleeping bag and reindeer skin. * This trip depends on safe temperatures and weather conditions.